There are many reasons why ears are blocked during pregnancy. As a result of pregnancy changes causing swelling of the nasal lining, the tube that connects the nose to the ears (eustachian tube) may become blocked easily. Simple measures such as decongestants or nasal sprays prescribed by your doctor may be helpful. It is also important for your doctor to exclude other common conditions such as the accumulation of earwax. If your symptoms are worsening or persistent despite the above-mentioned measures, it is advisable to seek medical attention from an Ear, Nose and Throat (ENT) specialist. 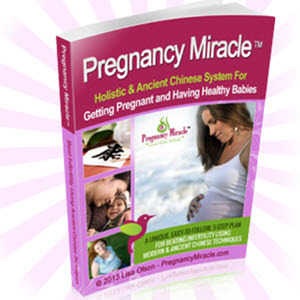 There are several medical conditions that can complicate a pregnancy. Some are more common than others. You should be aware of what these are. This is defined as vaginal bleeding or spotting that happens in the first 12 weeks of your pregnancy. Most of these bleeds are not significant and your baby is not affected in anyway. However, if persistent or associated with pain, it may indicate underlying problems such as a miscarriage or an ectopic pregnancy (pregnancy that exists outside the womb). It is imperative that you seek medical attention so that the necessary investigations can be performed. In an ectopic pregnancy, the embryo implants into the fallopian tube after fertilization. It is more common when the fallopian tubes are damaged already. It can cause heavy internal bleeding, resulting in death. Emergency surgery may be required to treat this problem. In most cases of early pregnancy bleeding, the baby is unaffected and the scan shows the presence of the fetal heart. In such cases of 'threatened miscarriage', the prognosis is good and usually, the baby will be fine. Falls in pregnancy can cause bleeding in the placenta and preterm labor. This is especially so if there is a direct trauma to the tummy. So seek immediate medical attention if you suffer a serious fall with direct trauma to the womb. es, the bleeding is idiopathic, i.e. the cause is unknown and baby is usually well. It is important to rule out other more serious conditions such as a low lying placenta (placenta previa) or premature separation of the placenta from the womb (abruption placenta) (see Chapter 40 on Cesarean section). Classically placenta previa has painless bleeds while the latter condition has painful bleeds. Both conditions can be life threatening to either the mother or the baby and may necessitate a Cesarean section as a life saving procedure. It is important to seek prompt medical attention should this symptom occur. Pre-term Labor (PTL) Figure 21.l: Neonatal Intensive Care Unit with premature babies in incubators. It happens when the mother experiences strong labor contractions before 37 completed weeks of pregnancy. In some cases, the symptoms may be subtle and the contractions can feel like mild menstrual cramping or backache. The risks to a premature baby include respiratory problems, infections, gut problems and a prolonged intensive care stay (Figure 21.1). All these can incur an exorbitant hospitalization bill. These risks are greater in the more premature babies (e.g. those born before 34 weeks of pregnancy). As such, hospitalization and medications such as salbutamol or nifedipine may be necessary if you experience preterm labor to help prolong the pregnancy, while steroids (dexamethasone) administered in the form of intramuscular injections to the mother help accelerate the maturity of the baby's lungs. This condition should be clearly differentiated from Braxton-Hicks contractions — a condition characterized by irregular painless tightenings that happen from about 28 weeks of pregnancy onwards. These are harmless and will not bring about an opening of the cervix and early delivery of baby. If PPROM occurs before six months of pregnancy, the prognosis is guarded. Very often, this will lead to a spontaneous miscarriage. Even if the pregnancy continues, it may cause infection, limb contractures and poor development of the lungs (pulmonary hypoplasia), which could be fatal.